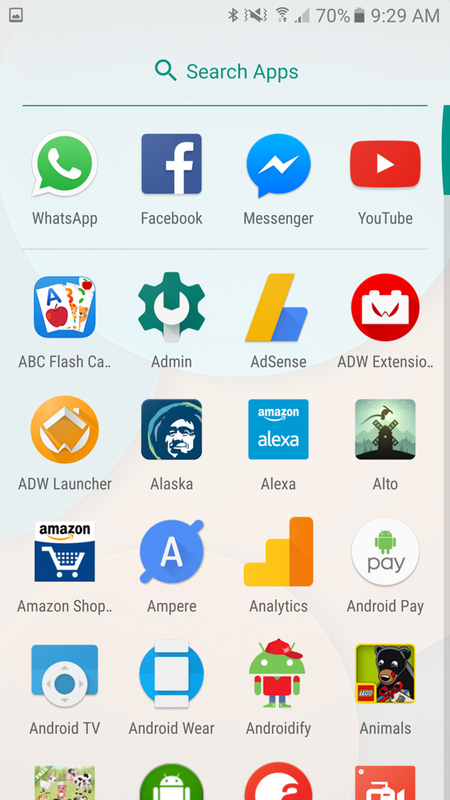 Over the past couple of days, leaks of a “Nexus Launcher” have made various appearances, first as just a visual representation and then as an actual .apk file almost anyone could load. We promise we haven’t been ignoring it, we’ve just been doing things like covering phone events and not getting overly-hyped over a half-working, slightly-tweaked feature-weak version of the Google Now Launcher that also happens to have a permanent calendar widget. 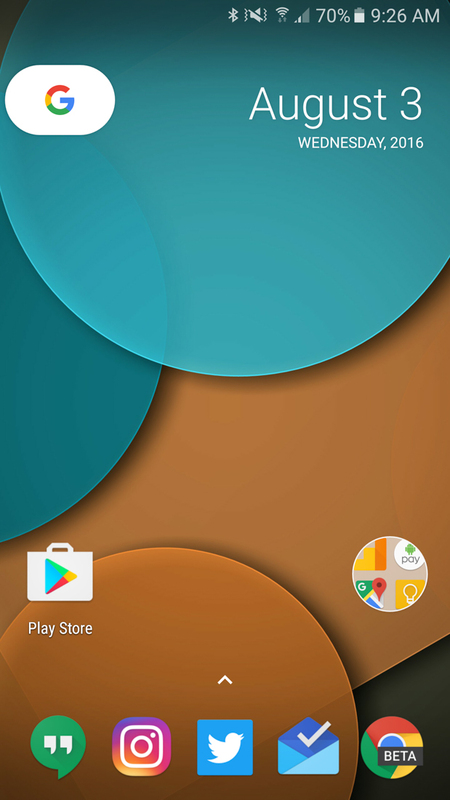 But anyways, this new Nexus Launcher is thought to arrive on the new Nexus phones in due time. 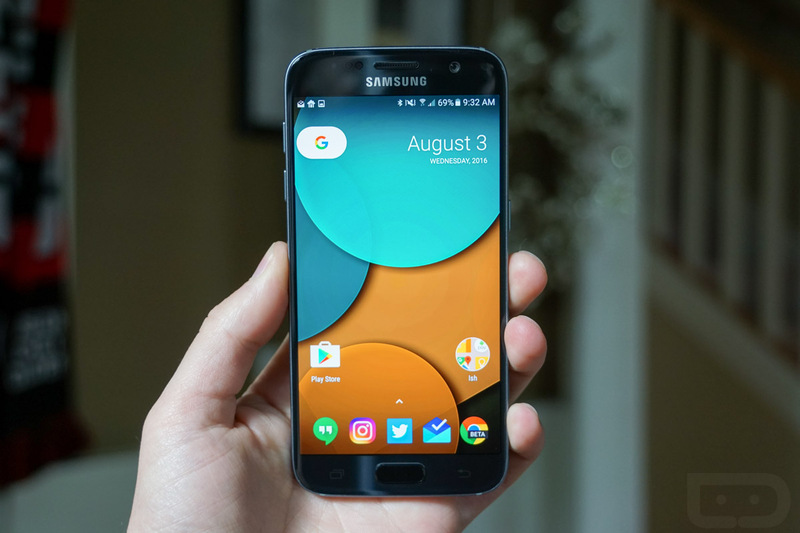 It’s not a radical new invention of the launcher, but it does offer some changes that you may have to get used to, assuming you are partial to the classic app drawer button. 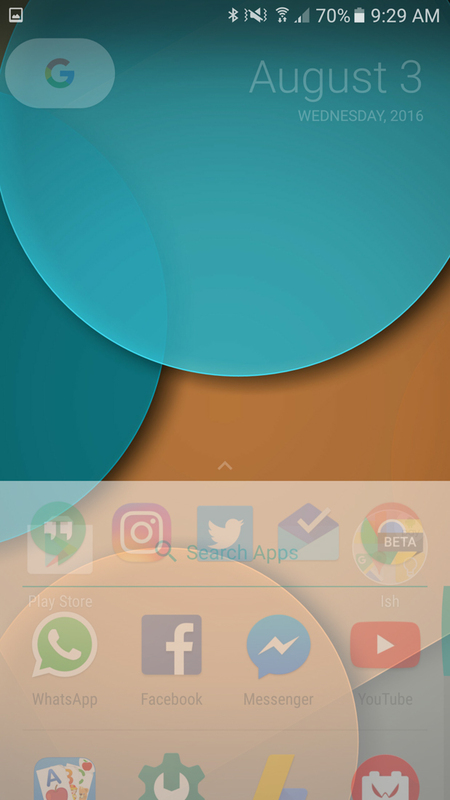 In this new Nexus Launcher, which seems to be up for side-loading onto any phone running Android Marshmallow or higher, you get a simple approach to a launcher with a single home screen to start that is occupied by a Google button in its top left corner, alongside a permanently placed calendar widget. In fact, they almost seem to be attached to each other. Tapping on the calendar doesn’t seem to do anything, but a tap on the Google button does indeed allow you to search. Then, you have space for apps or other widgets, the option to add apps or other widgets to new screens off to the right, and a long-press action that will get you into the wallpaper and widget pickers, as well as basic settings. The wallpaper picker is broken and crashes the app from what we can tell. When this app officially arrives, possibly only on Nexus phones, you should also see a swipe-from-the-left gesture to get into Google Now, just like you do in the Google Now Launcher. If you simply side-load this, that won’t work. The big change here is the app drawer area, along with the dock. As you’ll notice in the screenshots above, there is no app drawer icon and instead you have 5 icons in the dock under an arrow that points upwards. So now, instead of tapping an icon to open the drawer for all apps, you can just swipe up from that dock area. That make sense? Tap gone. Swipe in. 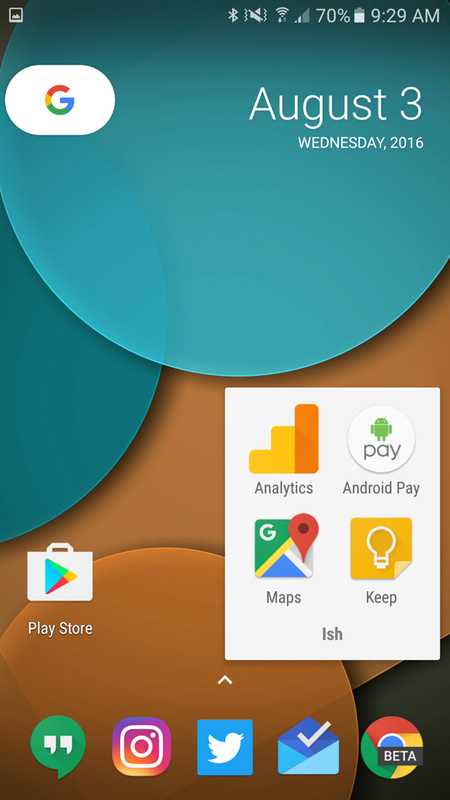 Once you have swiped in, you get the ability to search for apps at the top, plus a quick-scroll slider down the right side, just like in the Google Now Launcher. And that’s pretty much it outside of the new folder appearance which should be included in Nougat. The .apk can be found below, just understand that the origin of this application is somewhat questionable. This G+ user posted (EDIT: This is the original source) it initially and then deleted it, before it got passed around the interwebs for two days, so it’s about as safe or trustworthy as Donald Trump from one interview to the next. Proceed at your own risk.